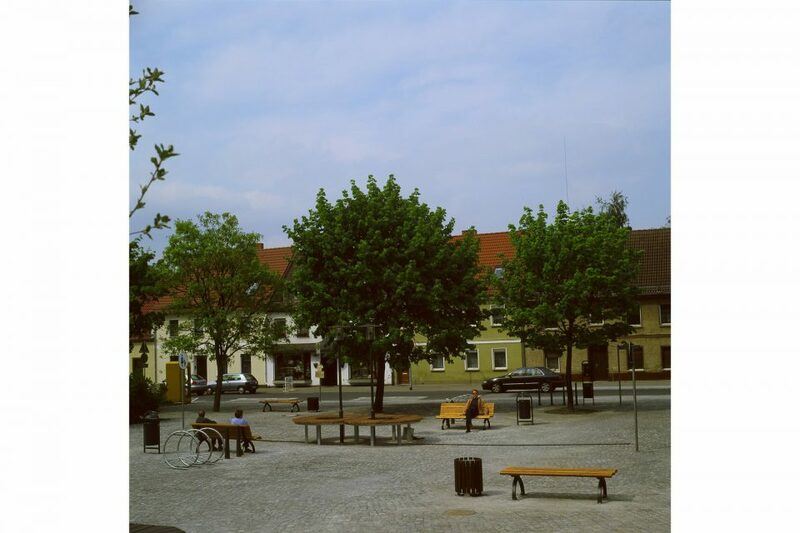 The square between city hall and the Galgenberg in the city of Fürstenwalde is characterized by the heterogeneity of its surroundings: residential buildings, shopping malls, and parking lots. On the square are a number of conventional urban furnishings, but all doubled and mirroring each other on two axes. 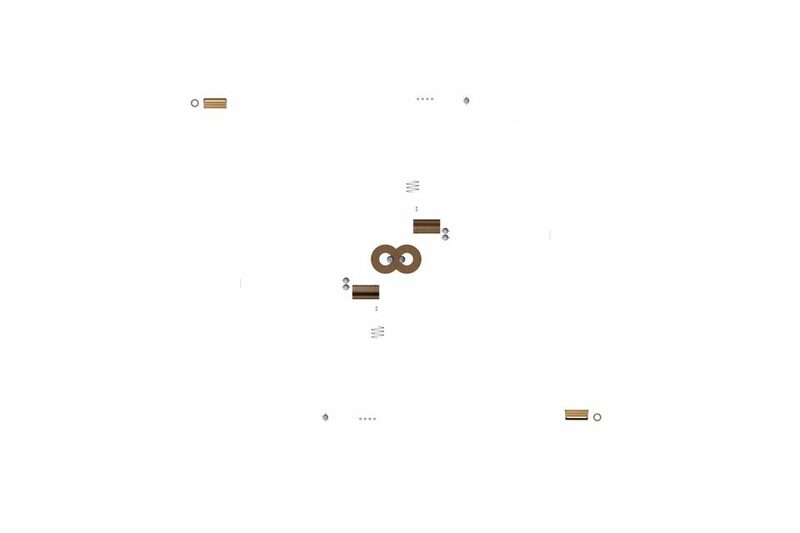 The stereometric structure of the ensemble turns the surface into the center of a new order and defines the site as a cohesive inner city square. 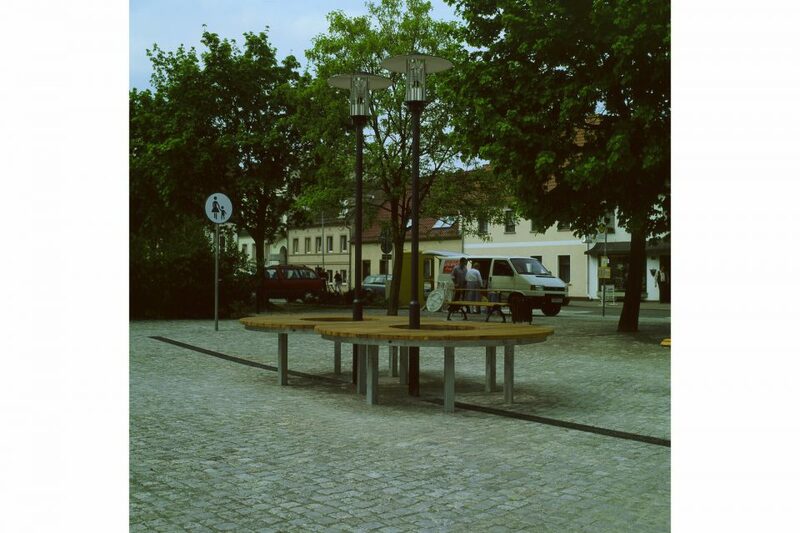 From the bench through the bicycle stand to the traffic-blocking bollards, everything except the central table object is present twice. On the stage of this mirrored and doubled square, the visitor takes the leading role.